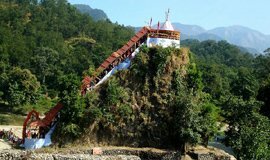 The temple is located on top of the Naina hill at the northern shore of Naini lake in Nainital, UttraKhand. The presiding deity of the temple is Maa Naina Devi represented by two Netras or eyes. 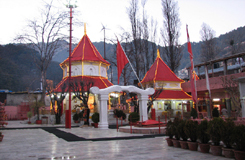 Nainital is one of the 64 Shaktipeeths also known as religious sites of Hinduism.The temple of Naina Devi is built on the spot where the eyes (naina) of the Goddess are assumed to have fallen, when Lord Shiva carried her body. 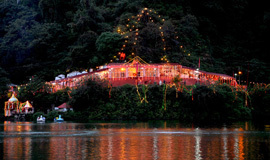 Pashan Devi Temple is located adjacent to Naina lake at Thandi Sadak.This temple of Navdurga is one of the prime religious places of Nainital. Temple is situated at a huge rock which depicts all the nine forms of Devi Durga. When a devotee offers water to the Maa Durga, it flows into the lake itself after touching the feet of Godess Durga. 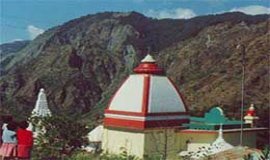 Hanumangarhi also known as Hanuman Garh is located at an altitude 1,951 m (6,401 ft). The temple complex is about 3.5 km (2.2 mi) from the Tallital (South End) bus stop. The presiding deity of the temple is Lord Hanuman, the vanara god of the Ramayana, and he is depicted tearing open his chest to reveal Rama and Sita in his heart.Hanuman Garhi temple is also famous for its strategic location..
Garjiya Devi Temple is a noted Devi temple located in the Garjiya village near Ramnagar,Uttarakhand,India, on the outskirts of theCorbett National Park.It is a sacred Shakti shrine where Garjiya Devi is the presiding deity.The temple is situated over a large rock in the top and is one of the most famous temples of the Nainital district,visited by thousands of devotees during Kartik Poornima. 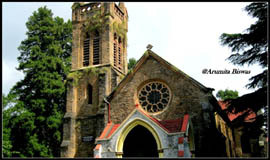 It is one of the earliest buildings erected in Nainital and possibly the finest church in any Indian Hill station. 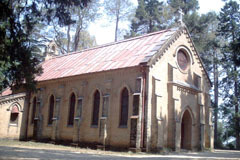 The church was named by the bishop of Calcutta who came to Nainital in 1844, when the place was still very much a wilderness. 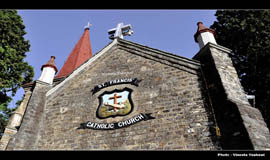 This church contains a brass memorial to the victims of famous landslip. Bodies of few victims were buried in the graveyard here. 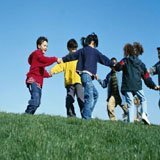 The Methodists could be a peace for those that hunger and thirst for morality. This church of Nainital isn't solely the biggest of India however additionally Asia’s. It had been by William manservant. The Methodist Episcopal Society in 1856 with the target of the Methodist Mission. 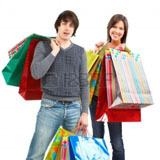 Nainital is one in all the foremost lovely hill stations in Asian country regarding 6346 foot above sea level. 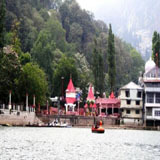 Since 1842 Nainital was visited by the clergyman of Bareilly because it was a part of city institution. In 1878, it absolutely was detached from city and connected to the jurisdiction of Allahabad. 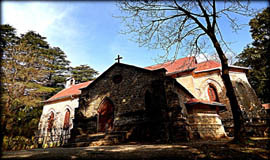 St John within the geographical region is one in all the earliest buildings erected in Nainital and presumably the best church in any Indian Hill station. 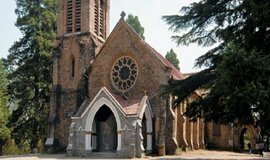 The church was named by the bishop of Kolkata who came to Nainital in 1844, once the place was still substantially a geographical region. The Church of Saint Nicholas is a Baroque church within the Lesser city of national capital. it absolutely was engineered between 1704-1755 on the positioning wherever erst a Gothic church from the thirteenth century stood, that was conjointly dedicated to Nicholas.The original Gothic Parish church of Nicholas stood on the positioning of this church that dated from the thirteenth century. 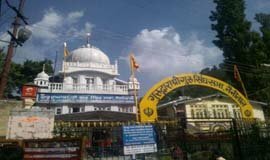 The famous gurudwara in nainital. Gurudwara Sri Guru Singh Sabha is located in the Southern part of the lake (most popularly known as Mallital)& is just nearby the Mall Road. 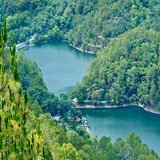 The district of Nainital has many tourist spots nearby, of which is ‘Ghorakhal‘(Ghora means horse hence Ghorakal literally means pond for horses). 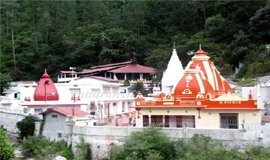 It is at a height of little more than 2000 metre and is famous for temple of Golu Devata or Lord Golu. 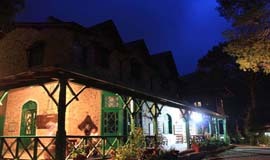 The temple is about 4 km from Binsar wildlife sanctuary and about 10 km from Almora. 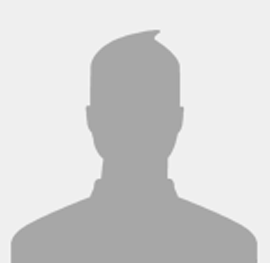 Lord Golu is the local God of the Kumaon region of state of Uttarakhand. He is considered as the incarnation of Lord Shiva. 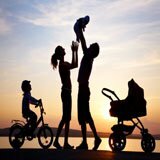 There are many folklores associated with the deity. 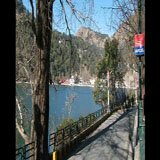 The district of Nainital has many tourist spots nearby, of which is ‘Ghorakhal‘(Ghora means horse hence Ghorakal literally means pond for horses). 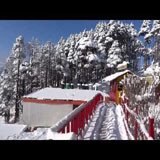 It is at a height of little more than 2000 metre and is famous for temple of Golu Devata or Lord Golu. 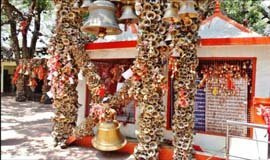 The temple is about 4 km from Binsar wildlife sanctuary and about 10 km from Almora.